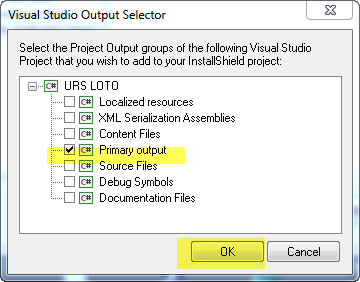 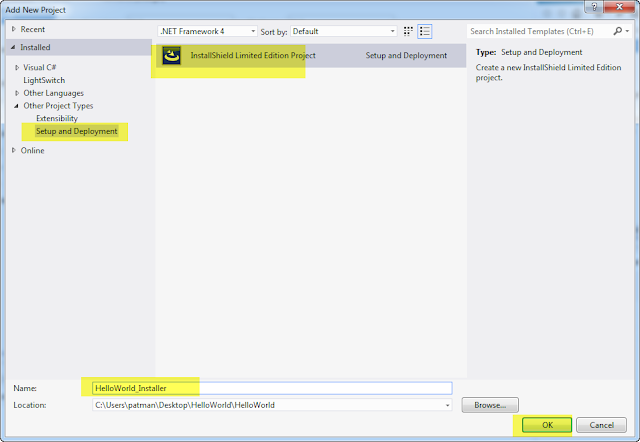 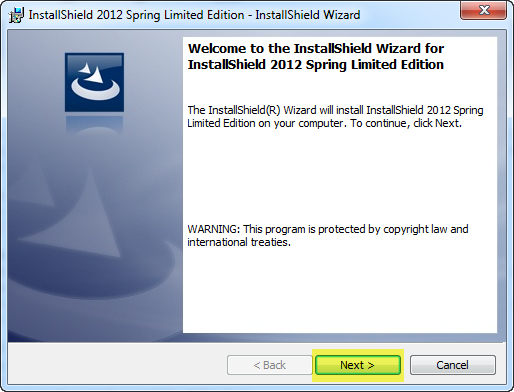 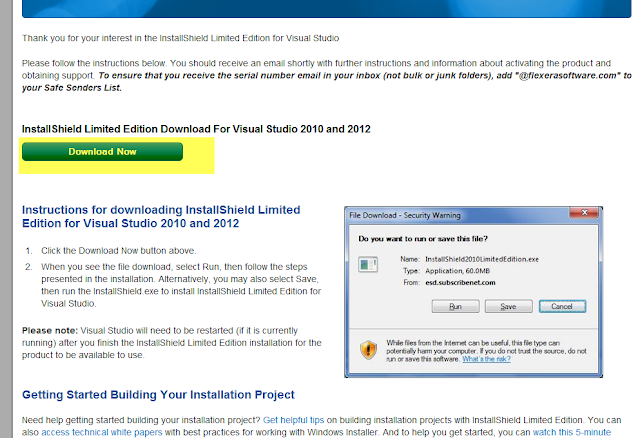 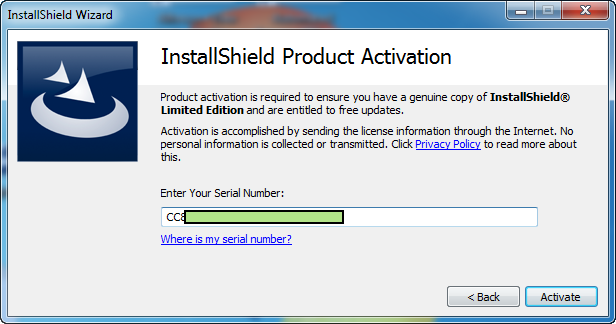 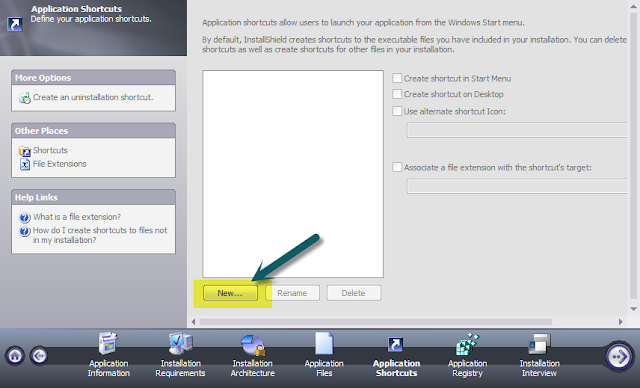 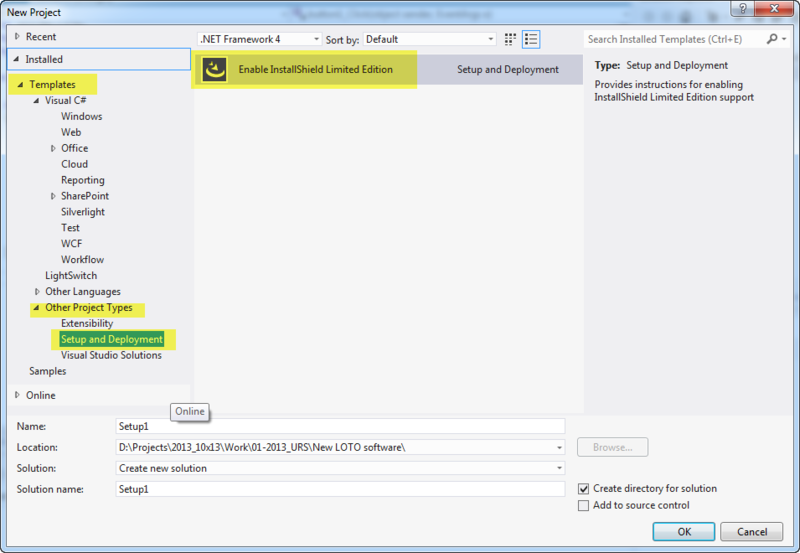 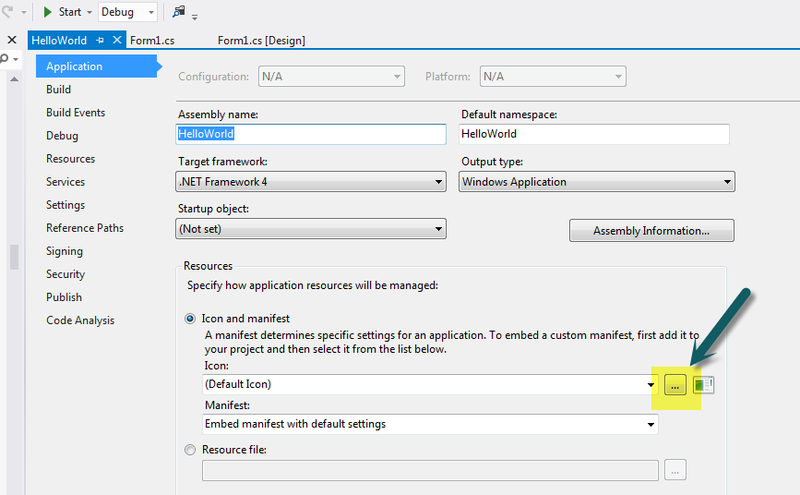 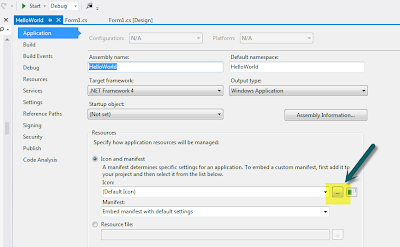 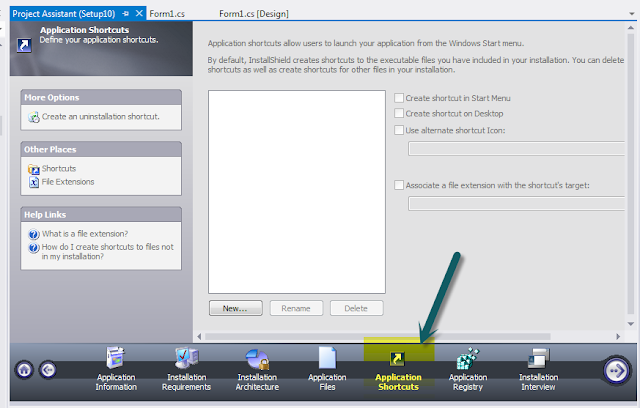 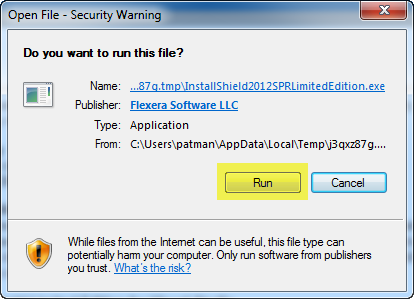 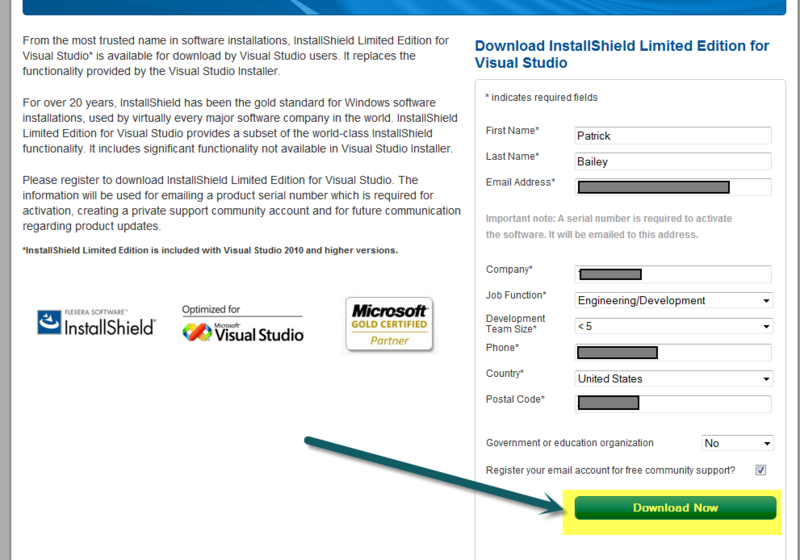 This guide will go over how to install and use InstallShield LE in Visual Studio Pro 2012. 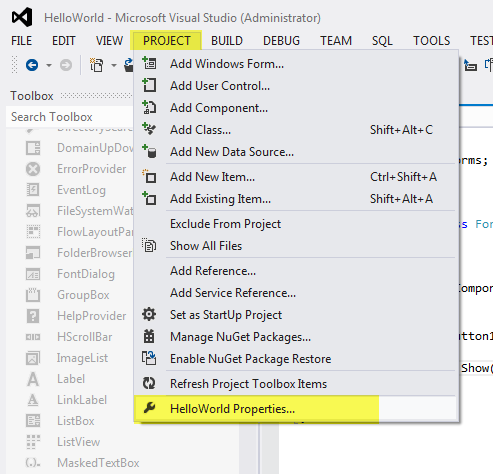 But first I am going to write a simple Hello World C# program in Visual Studio Pro, so that I have something to put into an installer. Enter a name for the project. 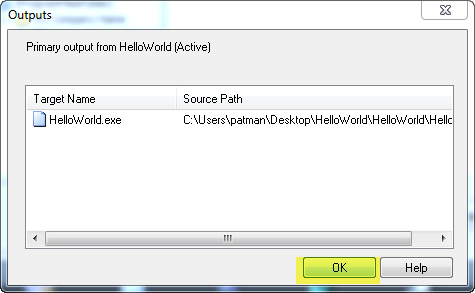 In this case name it HelloWorld. 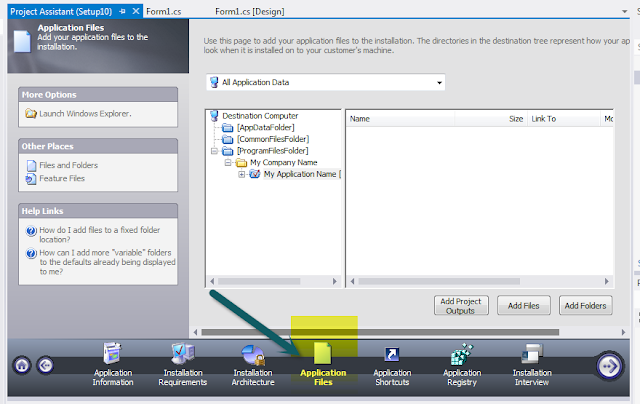 Click Browse and find a folder to save this project to. 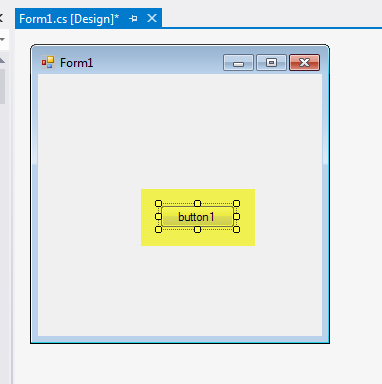 Now the project will be created. 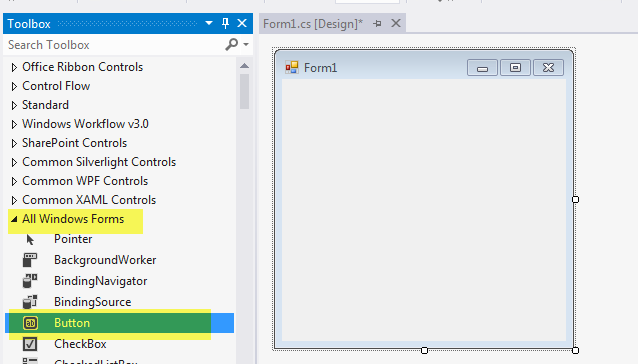 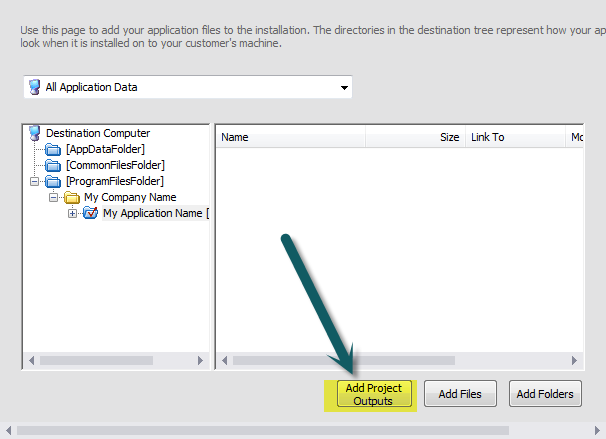 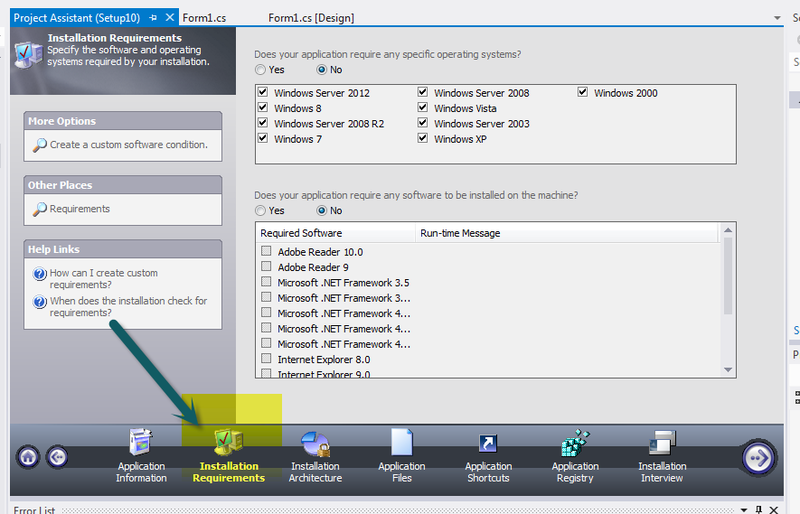 In the Toolbox under the All Windows Forms select Button. 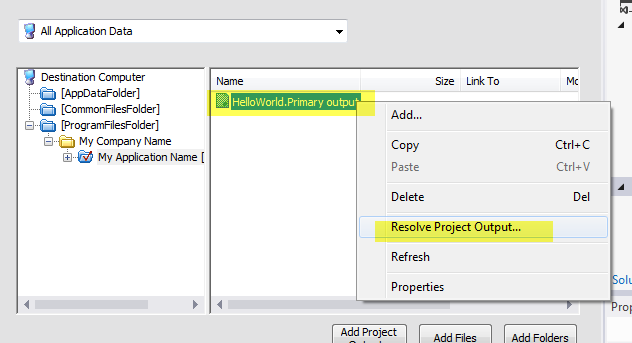 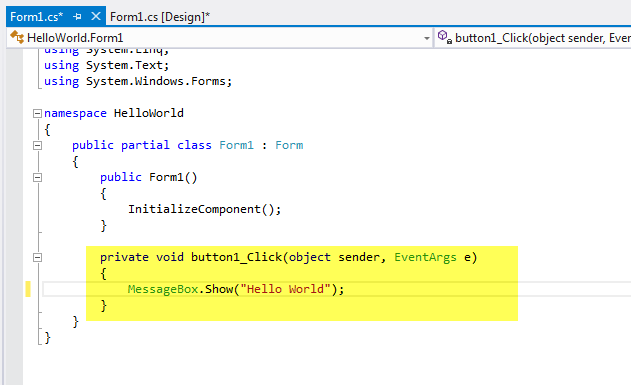 Update the text to "Hello World"
This piece of code button1_click is an event listener. When the button is clicked it will execute the code. 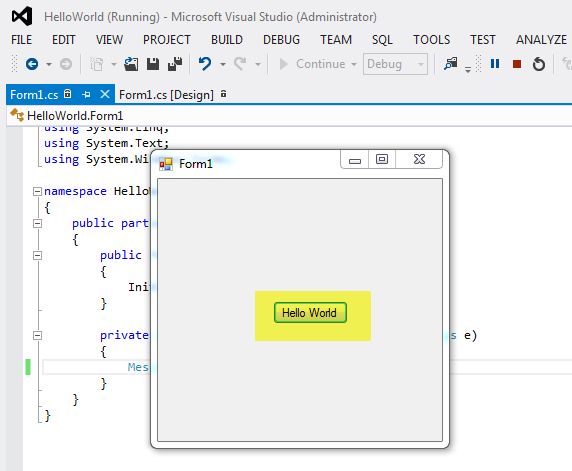 And a Hello World Message Box Appears. 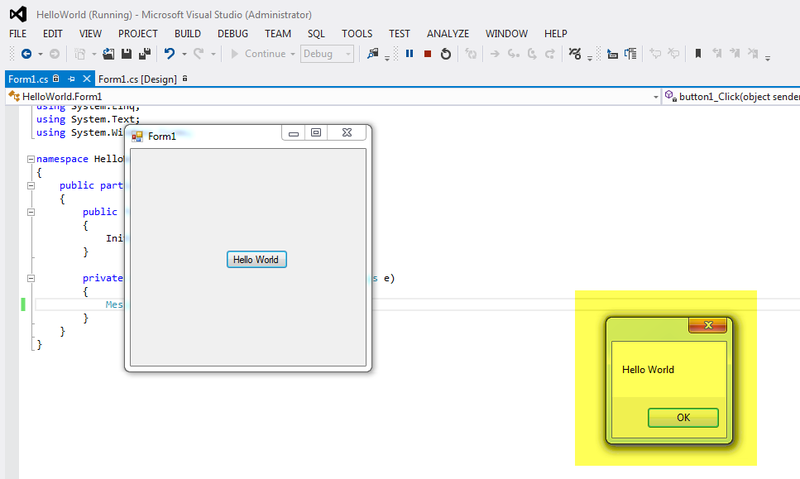 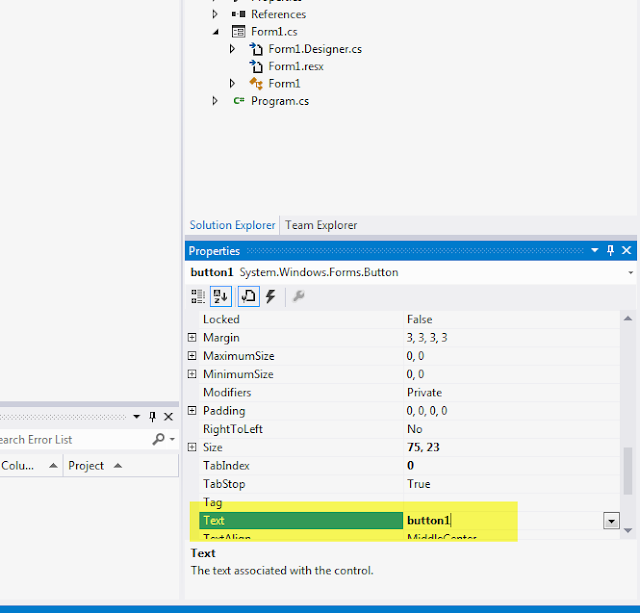 Close the MessageBox and the Form1 Window to get back to Visual Studio. 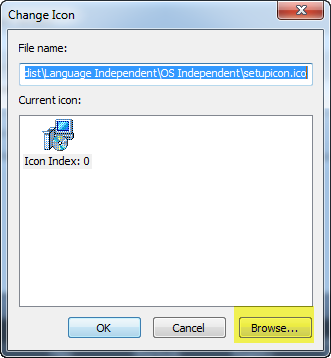 "Cannot extract icon with index 0"
This error was caused by the fact that my program did not have an icon associated with it. 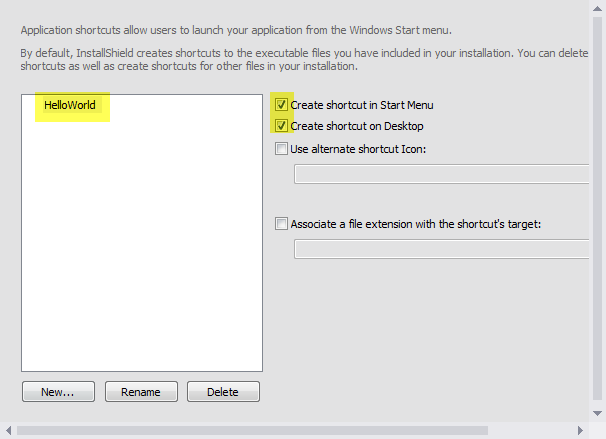 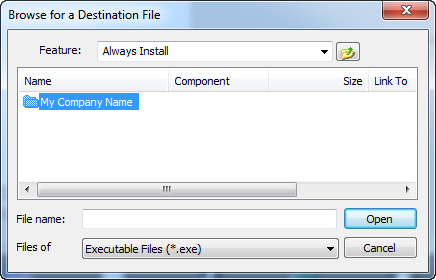 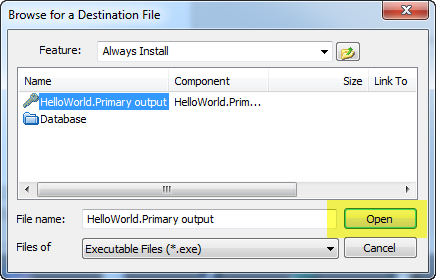 So as to avoid this problem when creating the installer I will add an icon to my HelloWorld Program. 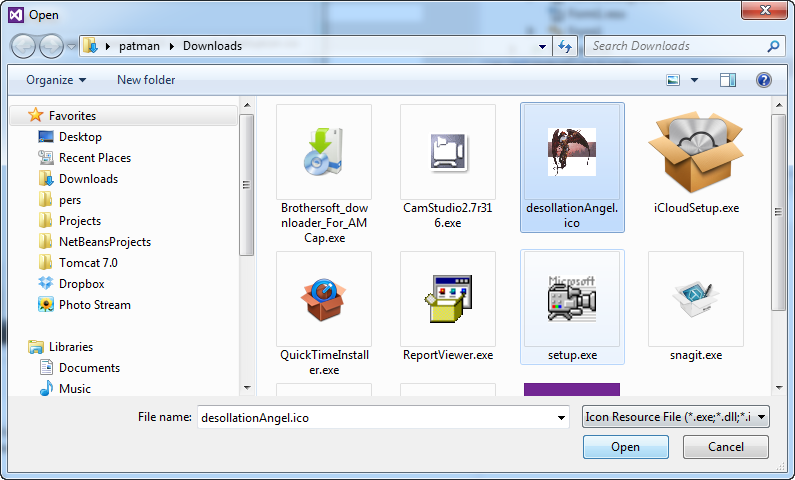 Click on Choose file to upload an image you have on your computer. 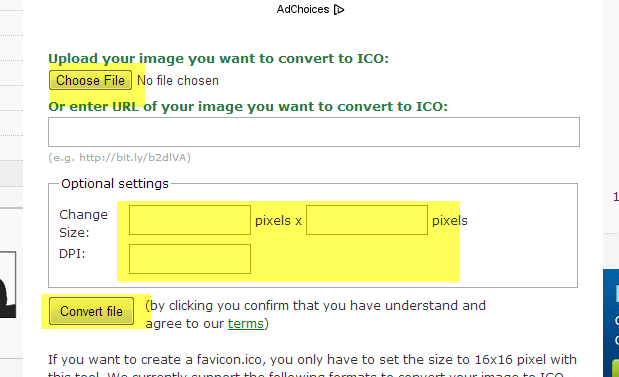 Then set the pixel size and click convert. 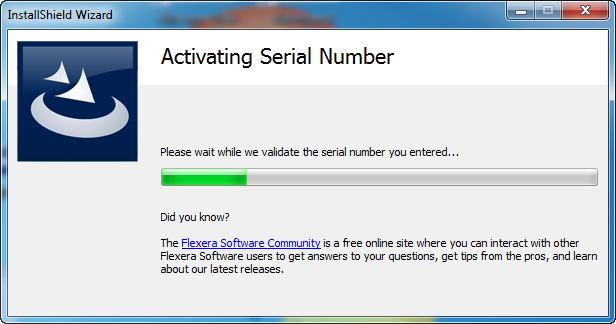 The results will automatically download to your computer. 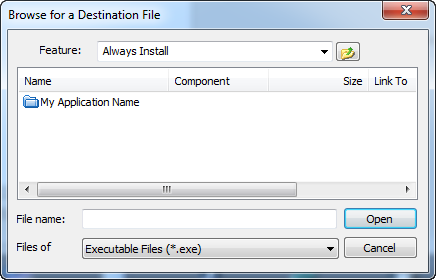 In my case I did not even set a pixel size I just converted a large image file. 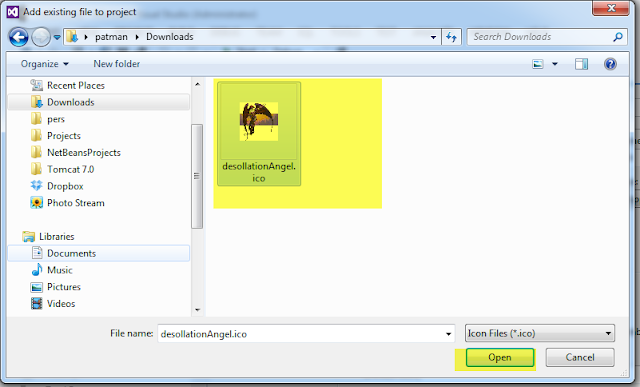 A tiny image should appear here. 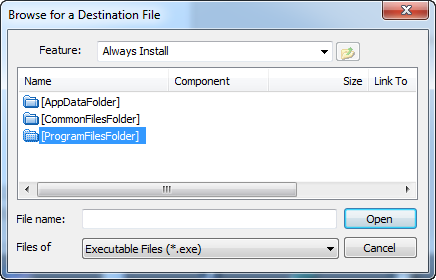 This will open up a local file as a web page. 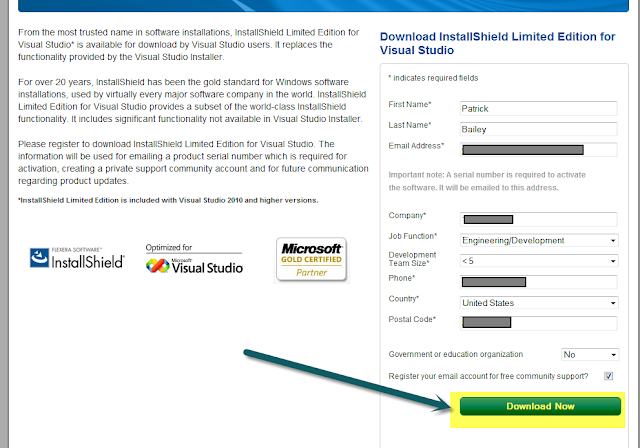 Click on the "go to the download web site"
Fill out the information and click Download Now. A new web page opens and an email is sent to you. 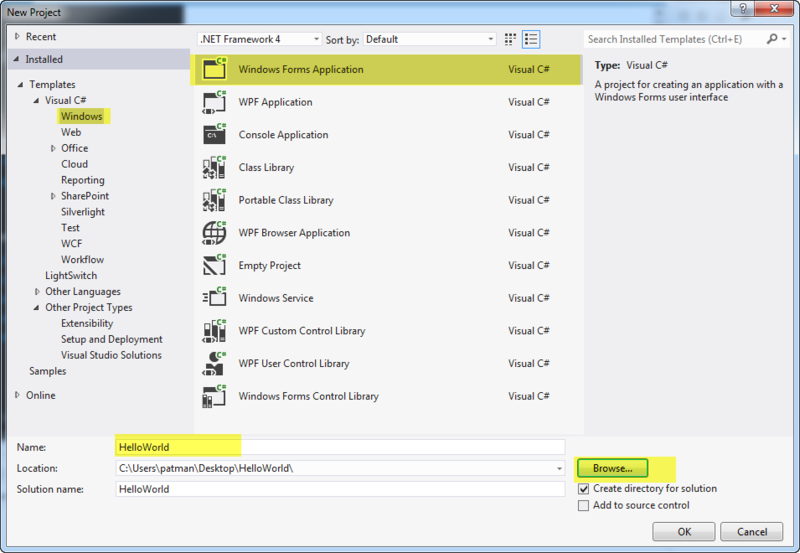 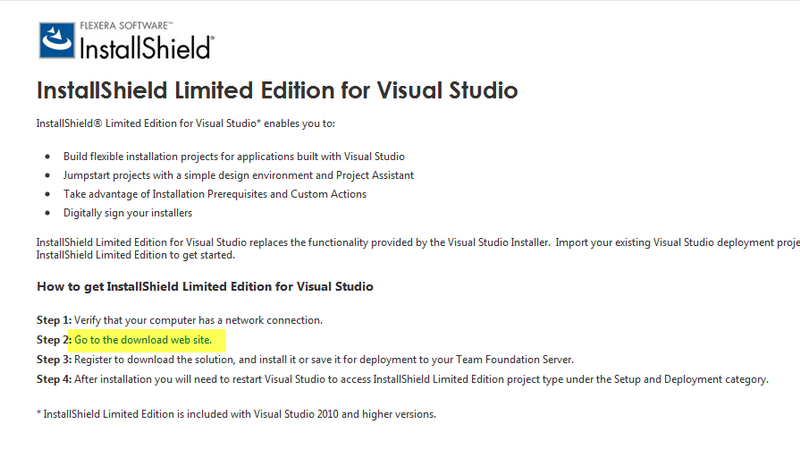 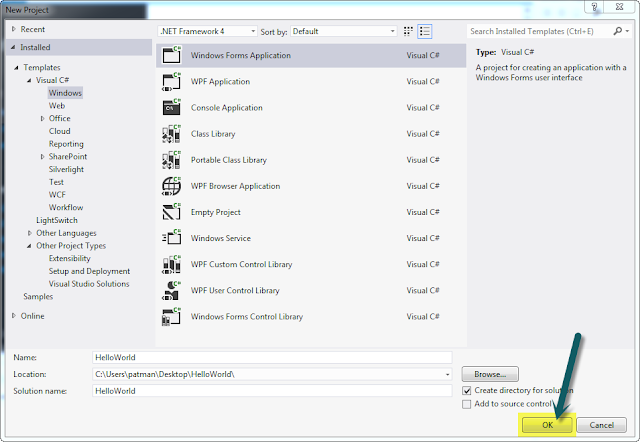 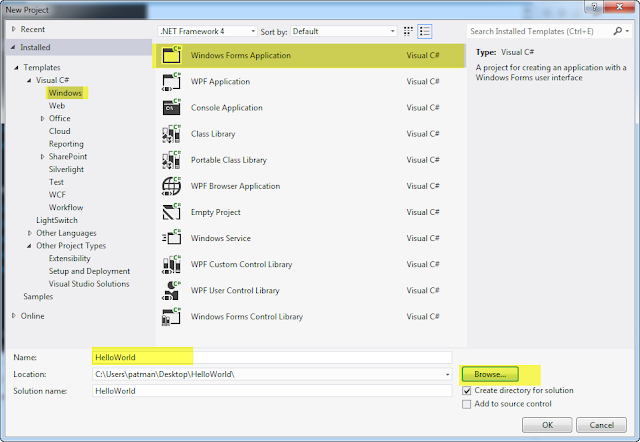 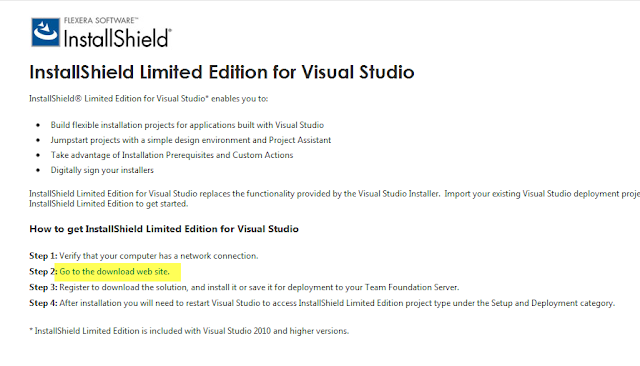 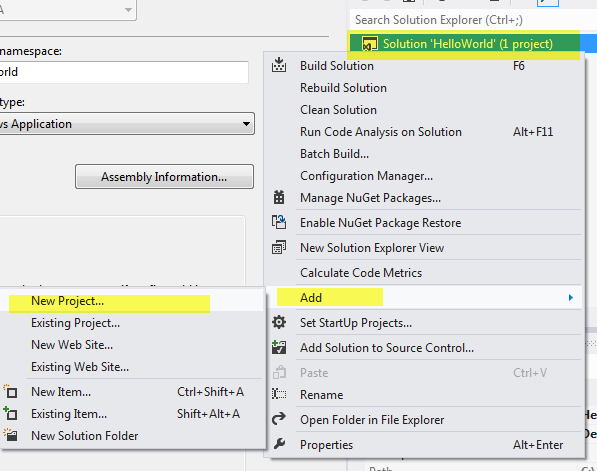 Restart Visual Studio Pro 2012. 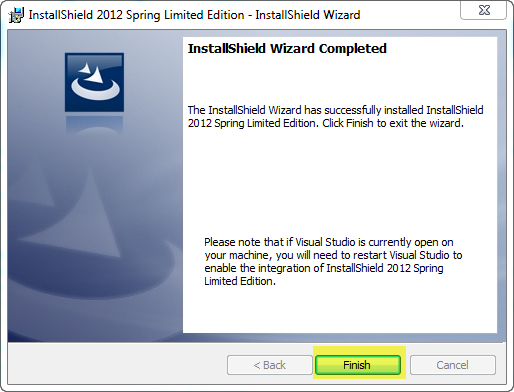 As for me here is what I did…. 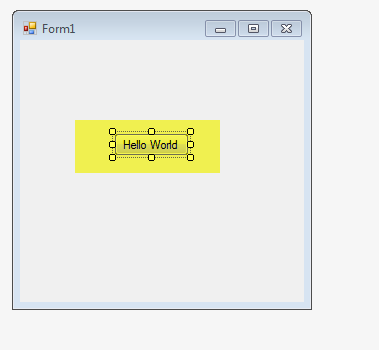 First open up a project. 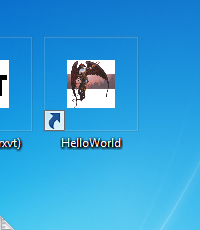 I opened up a simple Hello World Program I had made prior to this. 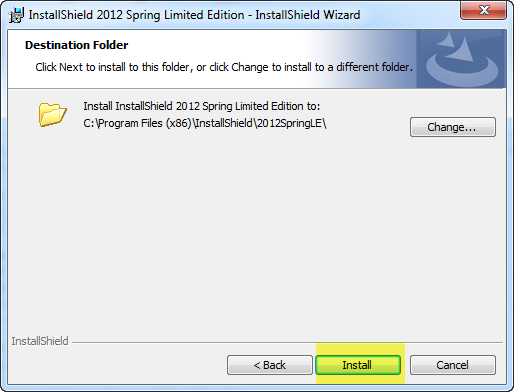 Select Install Shield Limited Edition. 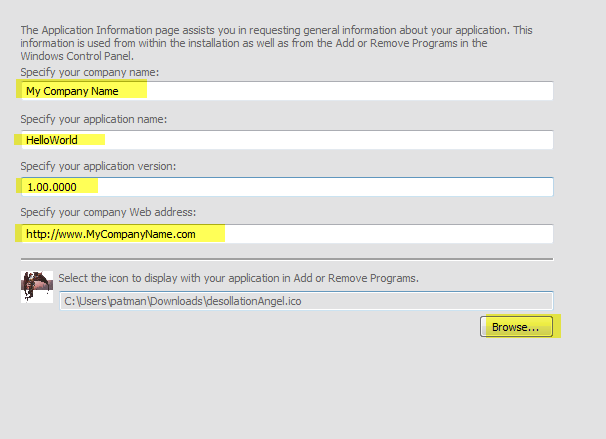 Enter the Company name, The application name, The version and the company web site. 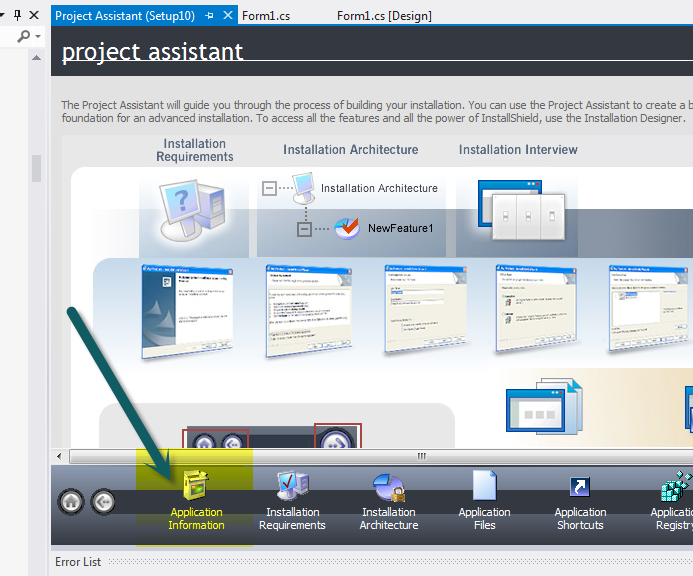 Here you can set up requirements that must be present for this program to run. 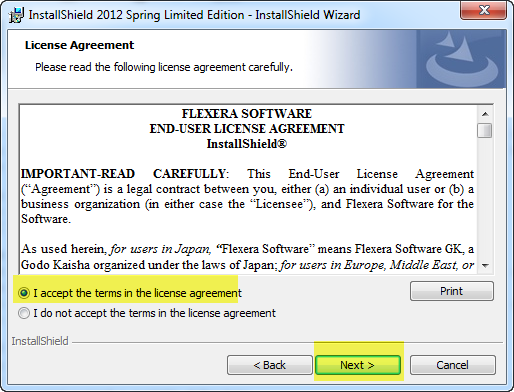 For now I will leave it as is. 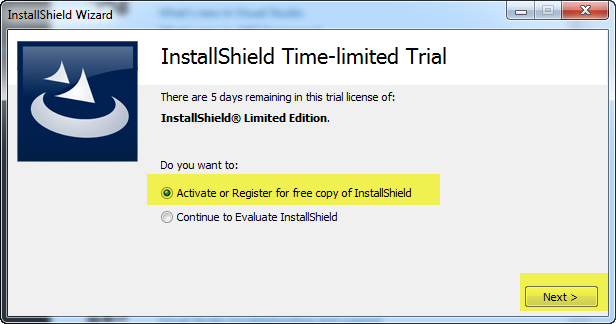 But if you need to require it has word 2003 you can. 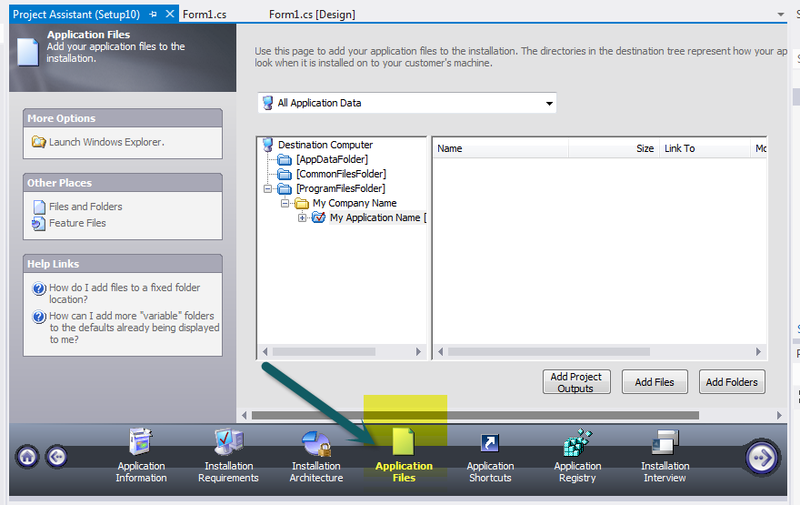 Change the name of Built to what you want the application to be called. 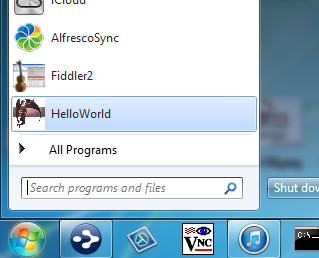 I changed the name to HelloWorld. 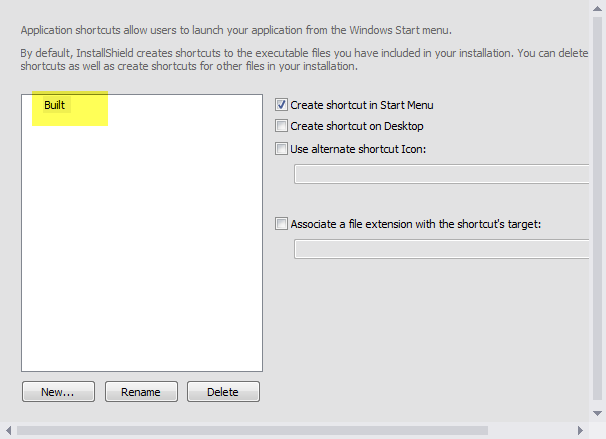 I also checkboxed the "Create Shortcut on Desktop"
Now double click on the setup.exe and go through the installation process.